Sam just completed his 13th year coaching at the collegiate level. He spent 3 years as the Hitting Instructor at Lane Community College in Eugene. 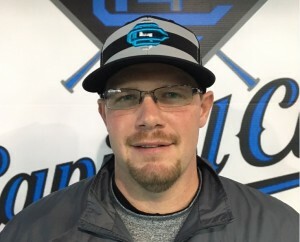 He then spent 4 years as the Catching and Hitting Instructor at Western Oregon University while completing his degree in Communications in 2011. Kirby then became the Head Assistant Coach at Chemeketa Community College. In his 13 years he has helped produce 9 All Conference Catchers and 26 All Conference Hitters at the Community College and NCAA levels. Sam spent 3 summers as the Head Coach for the Niagara Power Baseball Club in Niagara Falls, NY. He also was the Assistant Head Coach for the Bend Elks for two summers. Kirby graduated form Redmond High School in 2000. He was a 4 year Varsity Starter. And was voted a 3-Time All Conference Catcher. Kirby’s college career was spent at Lane Community College. He was the team MVP and All Conference Catcher. He produced a .397 batting average and a 86% throwout ratio. His team won the NWAACC Championship in 2004. Sam has also spent the last 6 years as the Director of Operations for the Salem Baseball Academy. 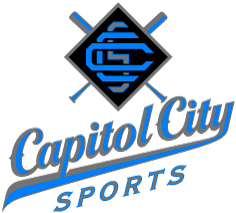 This Academy successfully houses 20 teams for Fall Baseball League for high school players. Sam and his wife, Nagisa, and their two daughters, Seina and Ayana, reside in Salem, Oregon. Sam offers one on one or group private hitting lessons. Video Analysis – If you would like a particular section of your session recorded we can transfer that to a DVD and have it ready for you on your next visit. Lessons can be canceled with 24 hour advance notice and reschedule. Cancellation of scheduled lesson without 24 hour notice will be billed $25 for that cancellation. Reason for $25 cancellation fee. Cage time is reserved for the lesson. With a 24 hour notice another lesson could be back filled or the cage can be rented.